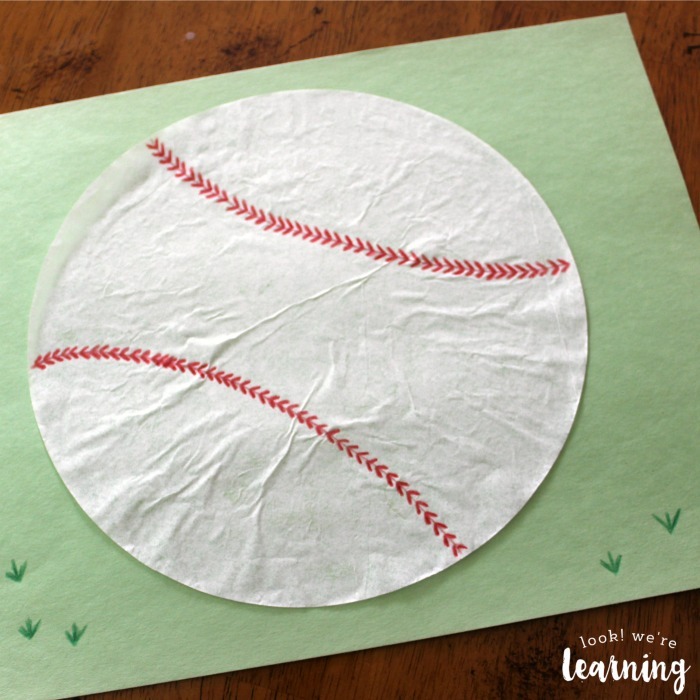 Coffee Filter Baseball Craft - Look! We're Learning! 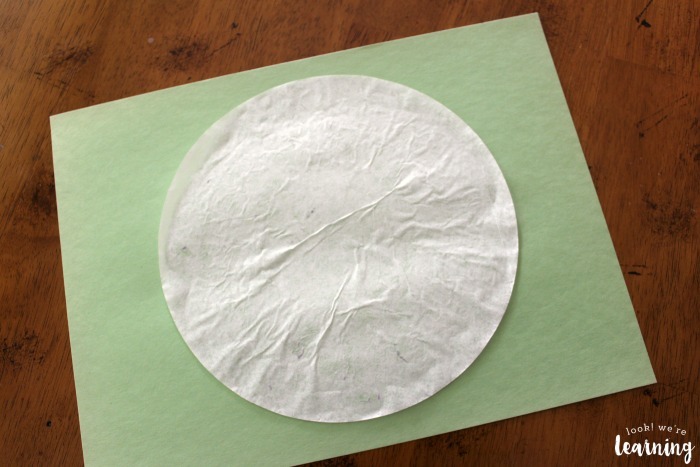 Sometimes I get an idea for a post that is so, so simple I fear it may not be worth sharing. That’s how I kind of feel about this craft. 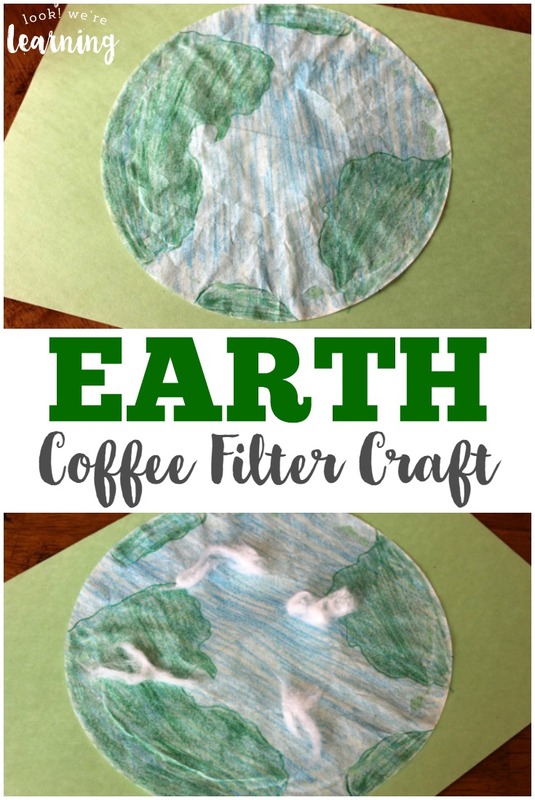 I try to keep all of my craft projects really simple for moms that are not so crafty (like me), but this one takes “really simple” to a whole ‘nother level. 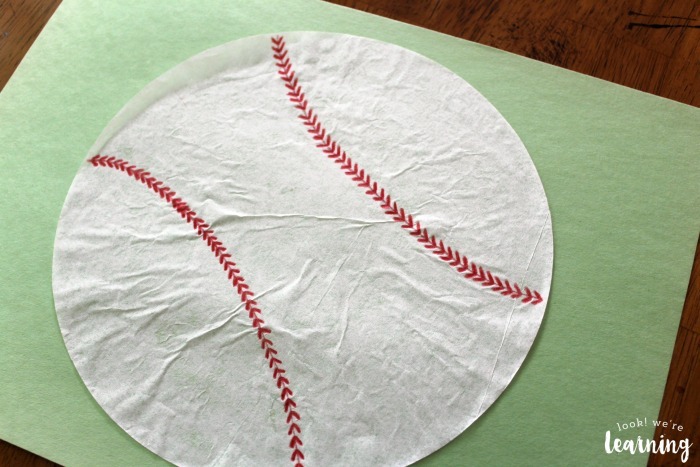 This coffee filter baseball craft is so simple it’s ridiculous. It is truly the easiest craft I think I’ve ever done. But – it might be helpful if you’re rushed for time, looking for an evening time filler, or if you have a group of kids you’re trying to entertain. So I’m sharing it. I hope you love it! 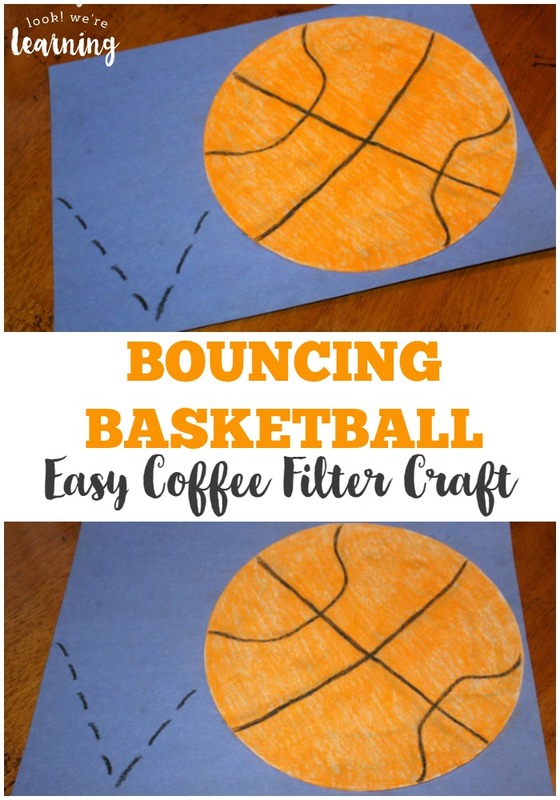 And if you do, be sure to try this bouncing basketball coffee filter craft or this coffee filter sun craft for more easy peasy coffee filter craft ideas! 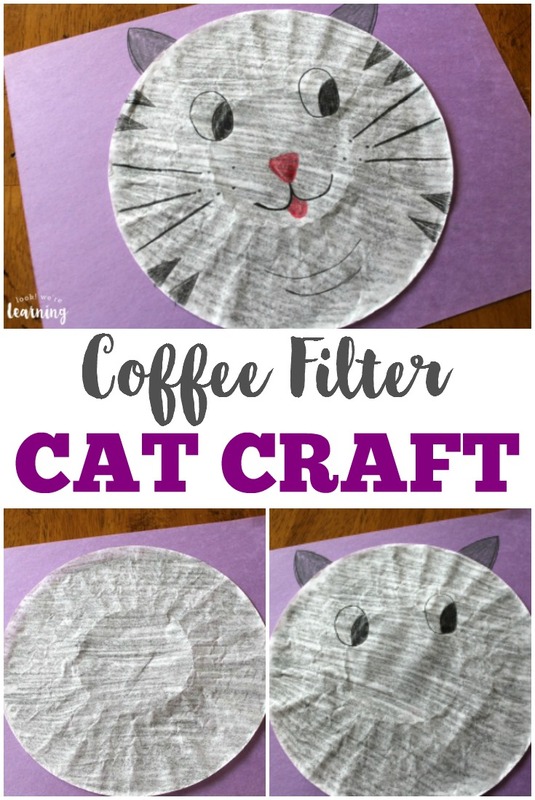 Start by flattening out the coffee filter and gluing it to a piece of construction paper. 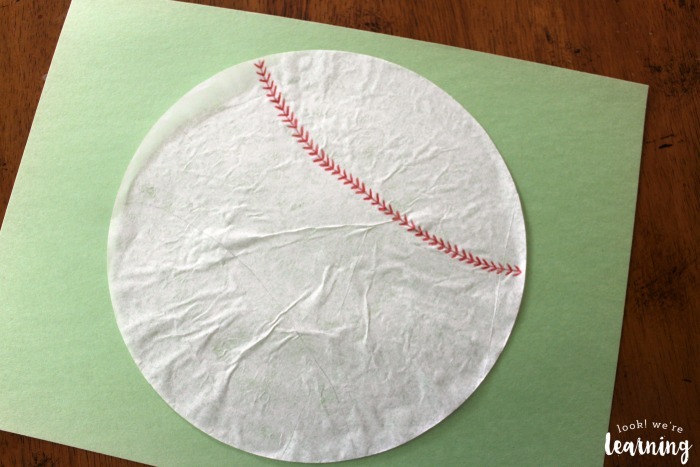 I decided to use green, because I want my baseball to look like it’s lying on the grass. I used a pencil to draw a curve lightly at each end of the filter. I could have just winged the stitch lines, but as I mentioned earlier, I’m not the most crafty mom and I could easily have messed it up. 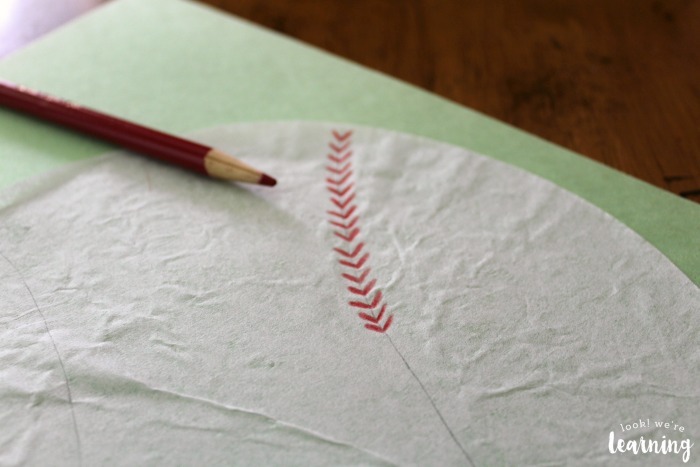 Then I got a red colored pencil and added the baseball “stitches” along the right side. I used my pencil curve as a guide and drew the “V” shapes in the center of the line. Like so. Now for the other side! 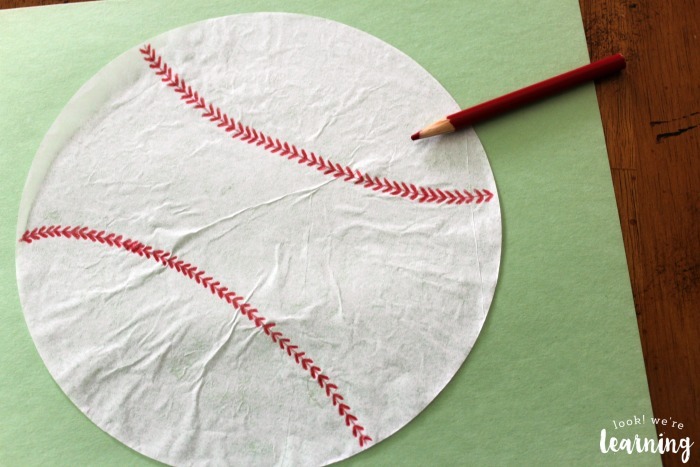 Did you know that the stitches on a baseball run in opposite directions? I didn’t notice until I got ready to make this craft. 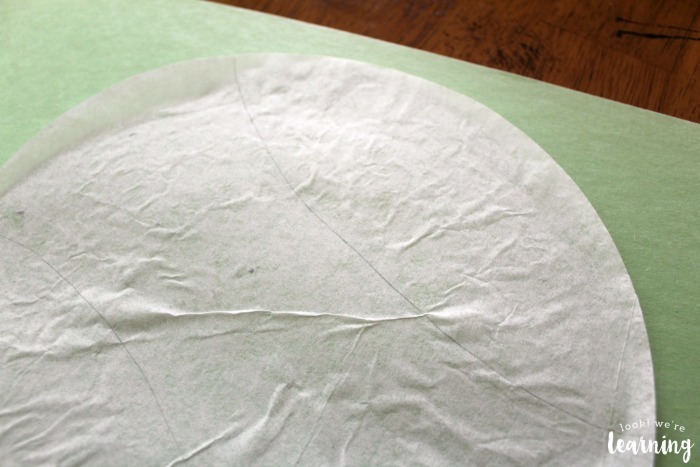 But on one side, the stitches run upward and on the other side, they run downward. 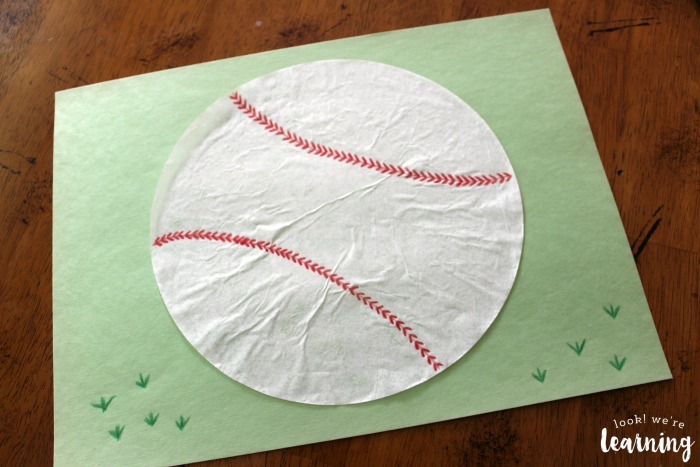 So, make sure you draw your stitches running in opposite directions. Or you could just ignore that little detail and let the kids draw them however they like. After all, this is an easy craft, right? 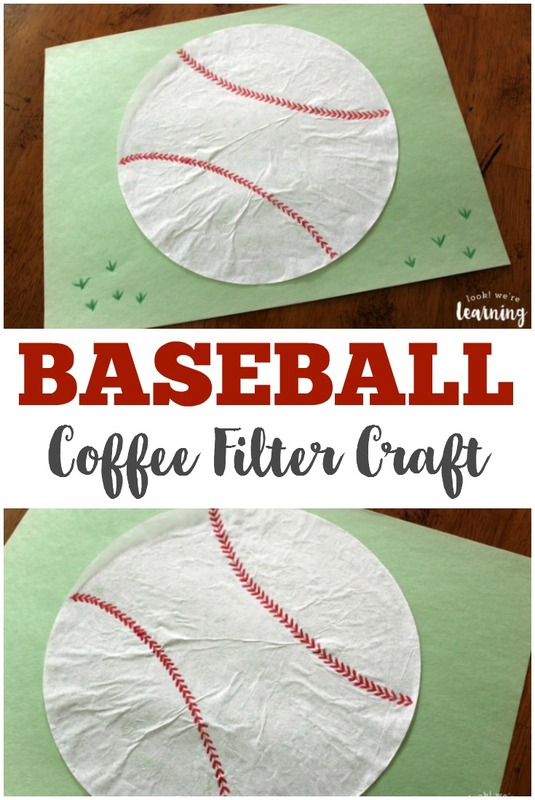 If this baseball coffee filter craft is a big hit with your kids, try these other projects!